The Peter Nicholls Thames sailing barge is a traditional barge design that was first introduced in 1980. 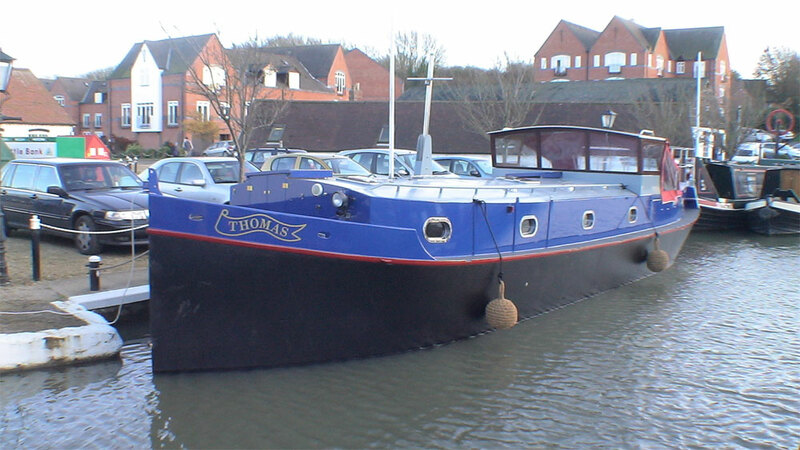 Barge yachts were always popular between the wars. 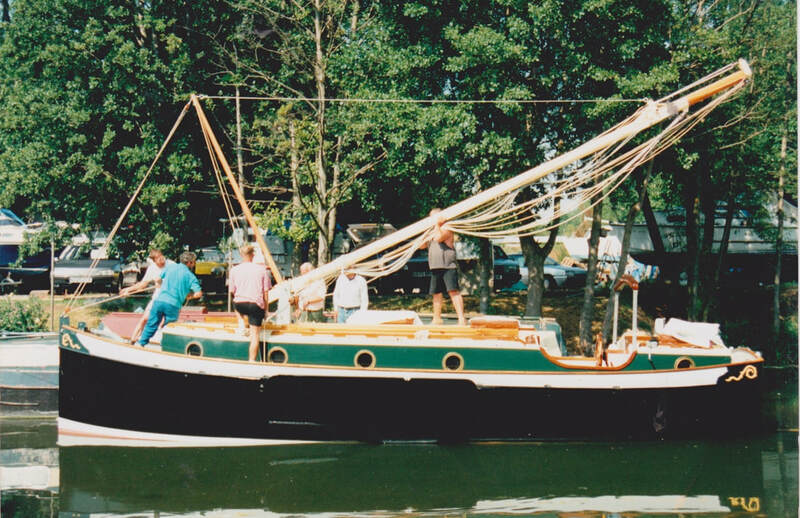 Our design is based on the lines of Giralda built by Pipers of Greenwich in 1897; reputedly the fastest Thames barge ever built. 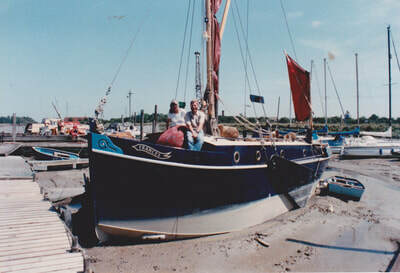 The sailing versions were superseded in our range by the Huffler motor sailer. 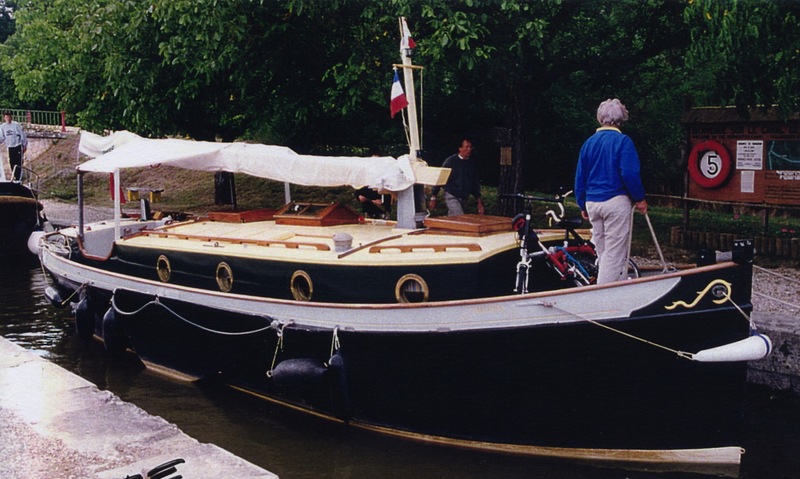 But the Thames motor barge is still available from us and the simpler construction gives great value for money, for a comfortable cruising home, without compromising on the quality of build. 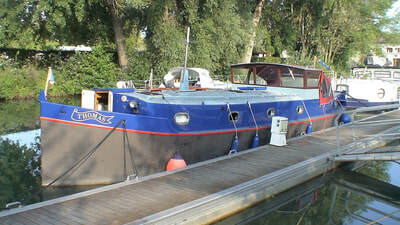 An ideal barge to cruise Europe as a live aboard barge. 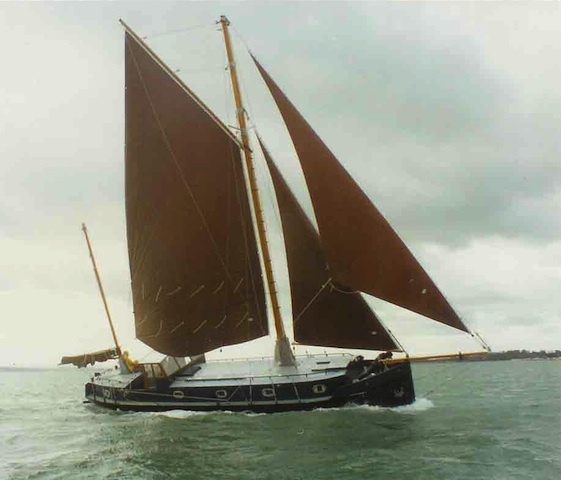 The Thames sailing barge is still available to build too, we still have the original rigging plans. 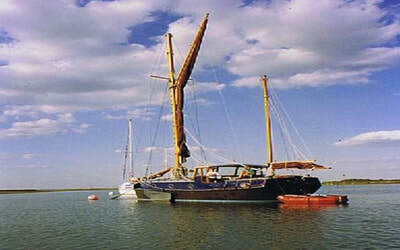 Where can the Thames Barge be used? 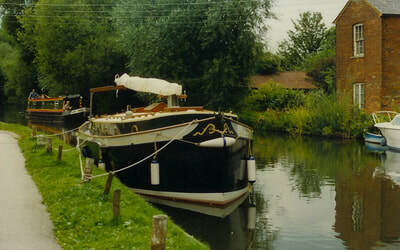 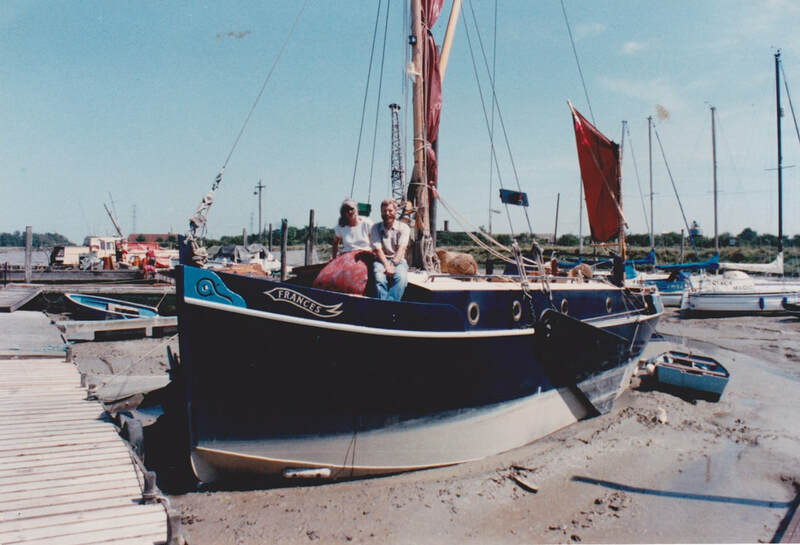 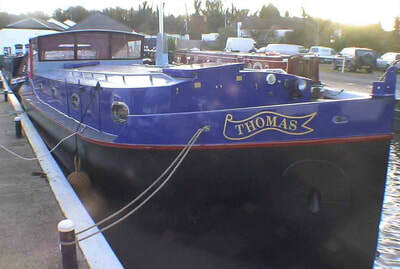 Fitted out in the 1990s by the owners in Bristol, near their home, she crossed southern Britain via the Kennet and Avon Canal and sailed the Channel for some years. 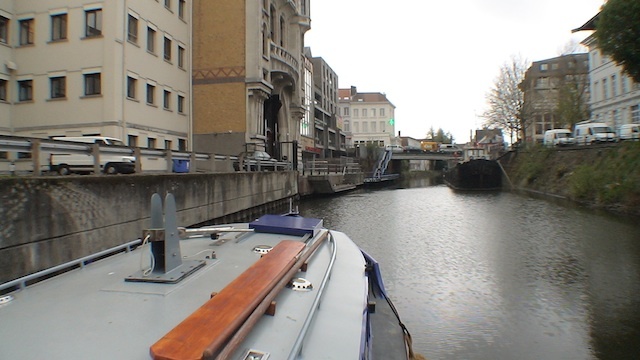 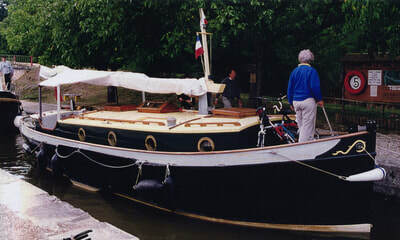 When the owners felt the need, they converted her to a motor barge and crossed to France, where she is cruising now. 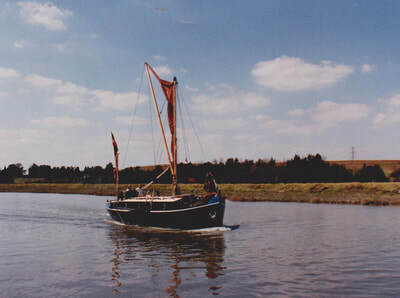 Built as a demonstrator, she sailed the South Coast out of Hythe in the 1990s, then was used extensively as a motor barge in France. 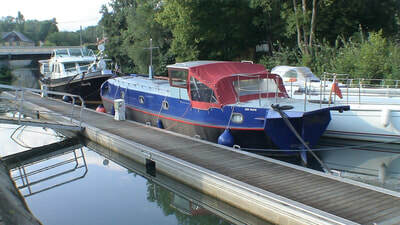 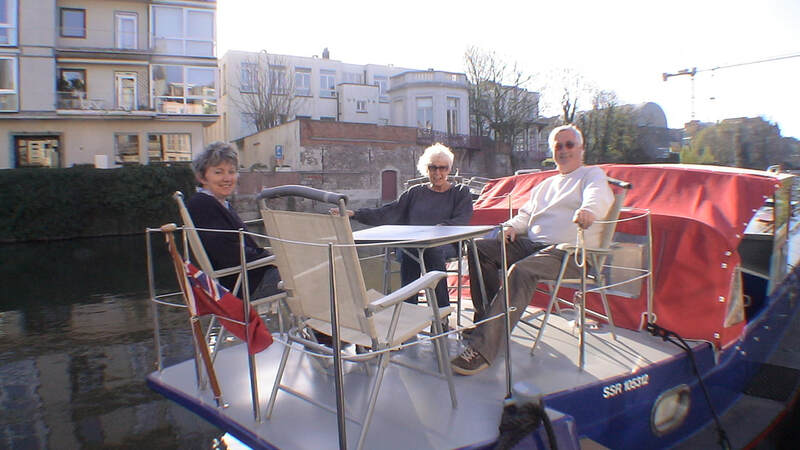 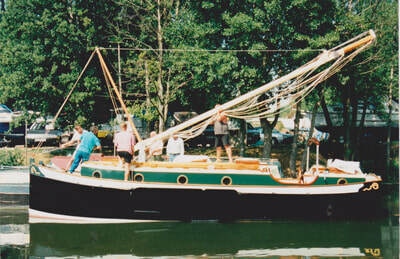 Then repatriated to refurbish and supply to clients for cruising the French and Belgian waterways. 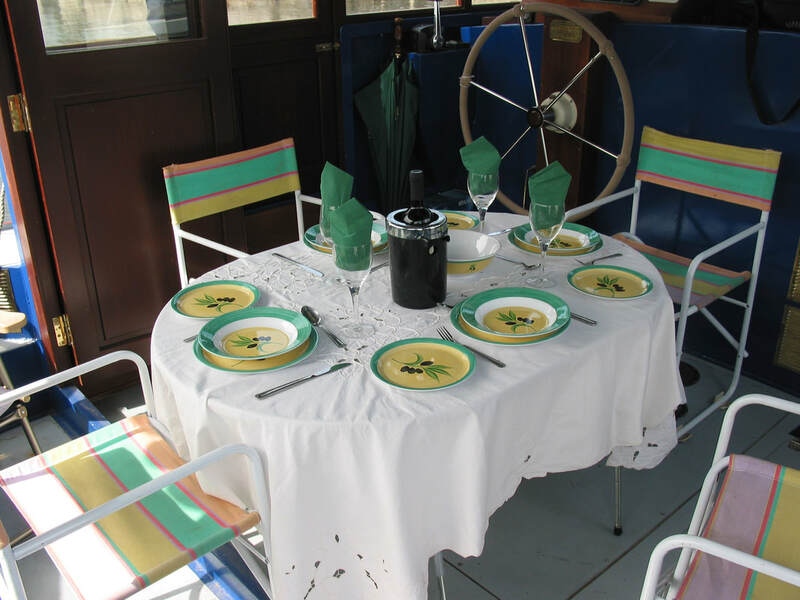 During refurbishment, an outside dining/ relaxing area was added over the aft sleeping cabin. Our suggestion for 2015:Our Thames barge design is now the basis for our 50ft x 12ft 6in Thames motor barge. 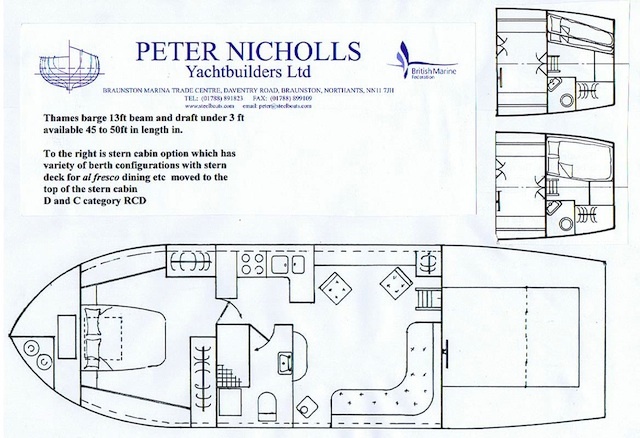 This design dispenses with this aft cabin to give a large flat deck for dining and relaxing. Click here for the plan. and for a photo of the double cabin forward. 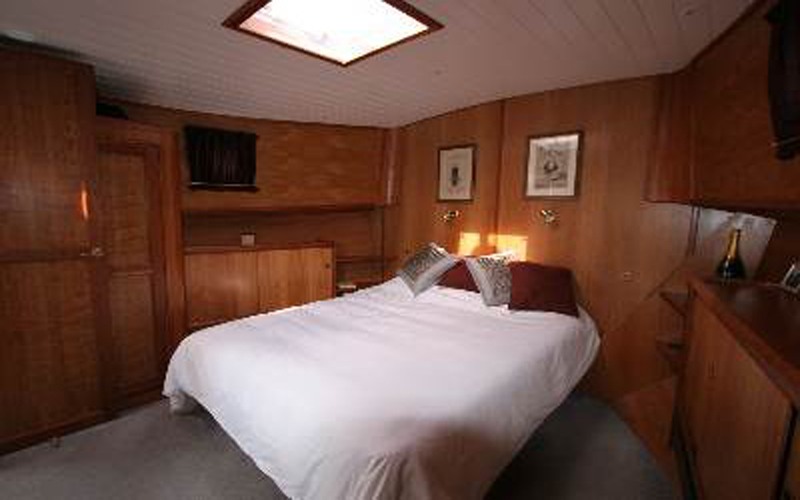 A door from this cabin leads to the galley which is set opposite the bathroom. 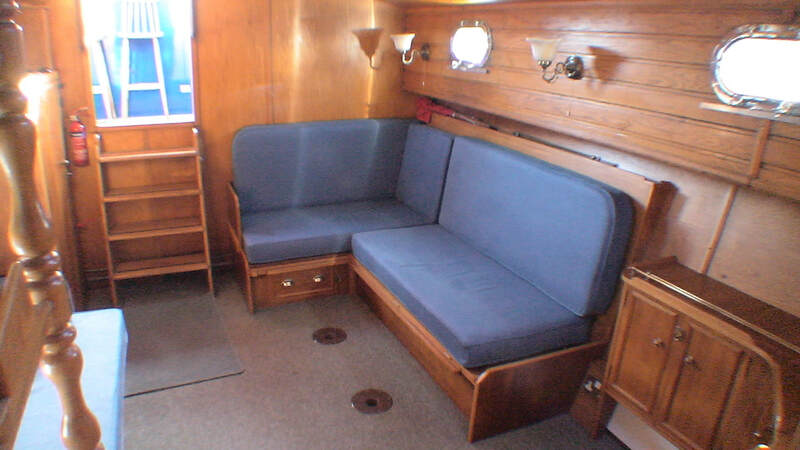 Then comes a large open plan saloon with diner and settee. 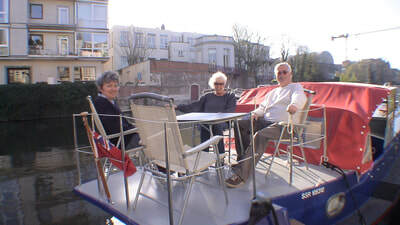 Then past an (optional) second double cabin and out onto the steering deck with wheel shelter and canopy. Alternatively, the second double cabin can be placed right at the stern, behind the wheelhouse and with a dining area set above it, as seen in the photo gallery below. We have a Thames Motor Barge building now and she was for sale. Clients have now bought her for completion to their requirements at 69ft long. 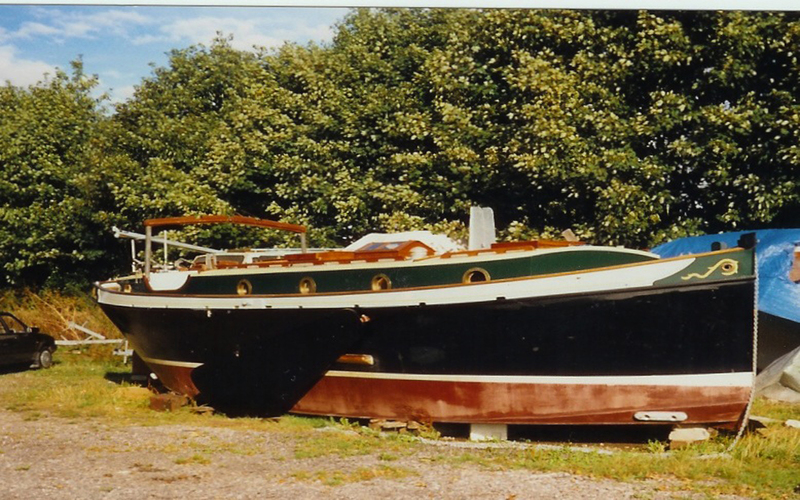 Please contact us for an appointment to view and discuss a similar boat for you.